No real title on the line? No problem. 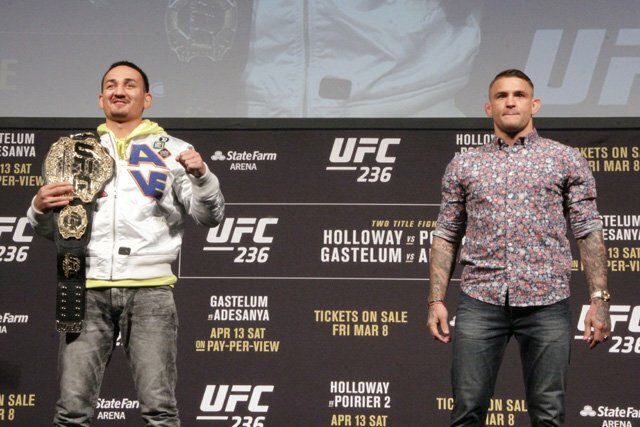 Max Holloway and Dustin Poirier gave it at their all at UFC 236 on Saturday night. UFC 236 has come and gone. With Dustin Poirier taking the new interim lightweight title, there are major things on the horizon for the division. Poirier is sure to get a fight with current lightweight champ, Khabib Nurmagomedov, after his suspension is up. 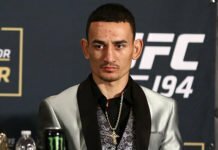 Max Holloway isn’t done at lightweight either. But Poirier was the man of the hour when all was said and done. 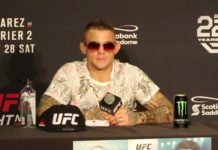 He’ll move on to face Khabib, barring injury or illness (UFC President Dana White confirmed as much at the UFC 236 post-fight press conference, following the event). It wasn’t easy, as the Hawaiian featherweight refused to go quietly. Instead, the two traded fire for a full five rounds, managing to equal the thrilling co-main event between Israel Adesanya and Kelvin Gastelum. Twitter, and especially the pros, had plenty to say during and following the bout. See some of the top reactionsbelow. Welcome to 155, Mr. Holloway. 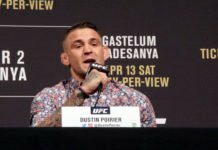 Dustin Poirier can THUMP. Holloway needs to use his feet a lot more to evade. Poirier doing everything right. He is completely dialed in.